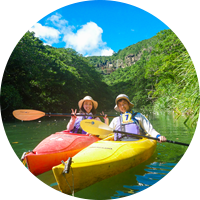 You can enjoy and be satisfied for Kayaking and Hiking tour of Kazaguruma shop in Iriomote Island. 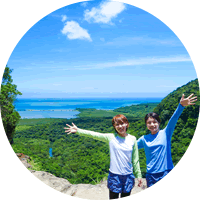 Day trip from Ishigaki Island is OK! 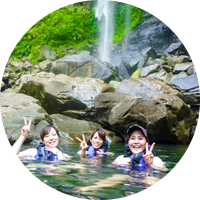 Pinaisarafalls is the most popular place of Iriomote Is. 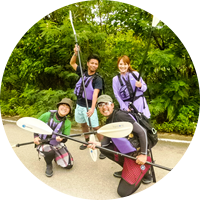 The reason is you can experience moderate kayaking & hiking. 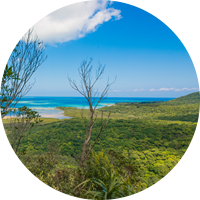 If you go to the top of the waterfall, you can see a fantastic view. And If you go to the waterfall basin on summer, you can swim there. 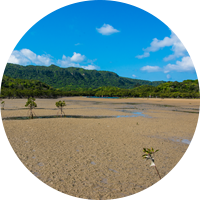 To go there, you should use a kayak. 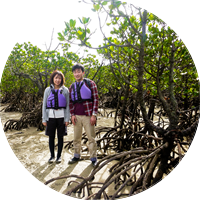 There are a lot of mangrove trees on the river. 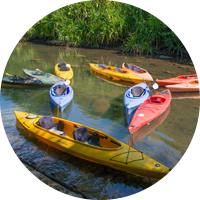 You can see the great scene while paddling a kayak If you participate this tour, you can go there while enjoying the hiking and kayaking. 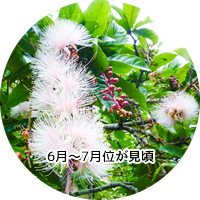 People up to 60 years from 10 years old can participate in this tour. 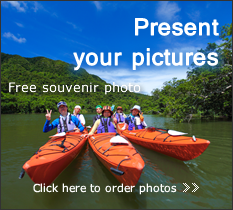 We hope that your journey will get wonderful memories of an exciting and dramatic. 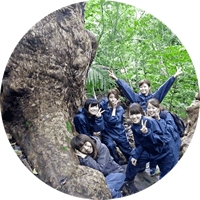 We have been many times to there in order to raise the grade of the tour. 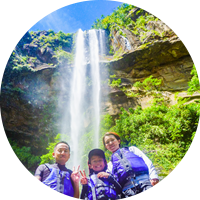 The view of the top of the waterfall is No.1 in Iriomote Is. 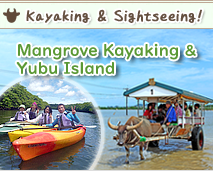 You can enjoy kayaking and hiking. 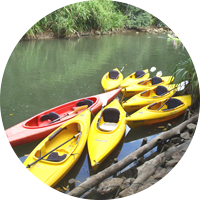 You can enjoy kayaking and river hiking. 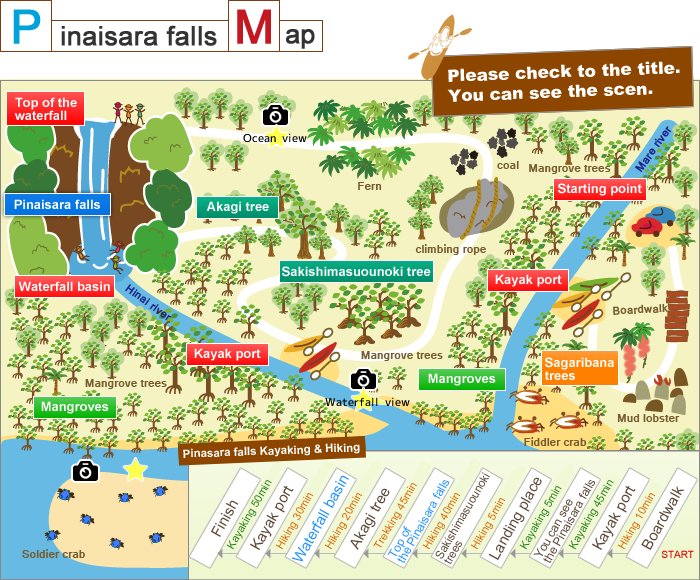 Additionally, you can swim in the waterfall basin or river too. We recommend this tour in the summer. 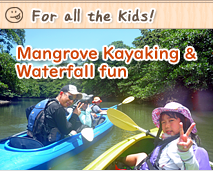 This tour is really focused on the kids, so we walk and paddle slowly. Children will discover so many things. Seeing kids smiling makes us happy! 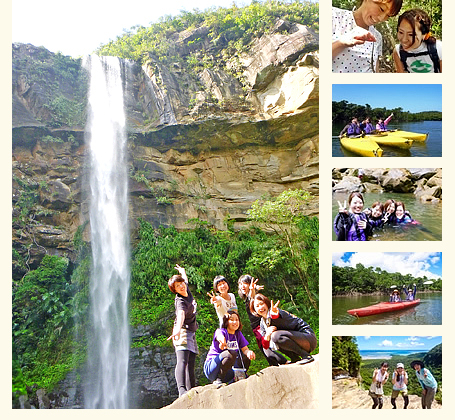 Spend the morning visiting pinaisara falls, and then on to Yubu Is in the afternoon. 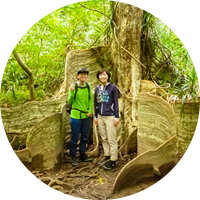 You can spend a great day in popular recommended 2 places on Iriomote island. 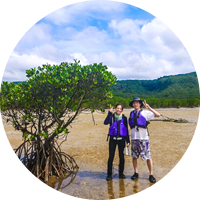 Member of the "Okinawa Marine Leisure Safety Bureau"
Exciting & Dramatic Iriomote Island “Kazaguruma shop” Copyright © 2019 Kazaguruma LLC.